Navratra festivities are on. As fasting and feasting continues, every kitchen is busy and sweet smelling. My mother has been fasting throughout. There has been no compromise on her part in her daily chores. Sometimes her energy and spirits at this age surprise me. In spite of severe arthritis, she is able to meet all deadlines, follow rituals, cook, shop, clean and even pamper her ever demanding grandchildren by making aloo parantha or finger chips at odd hours. Salute to thee mom! Yesterday I made Dates Kheer for my mom. It is a simple sattvik recipe, very nutritious and energy giving. Perfect to have during fasts. Wash and clean the dates. Remove seeds and chop them finely. 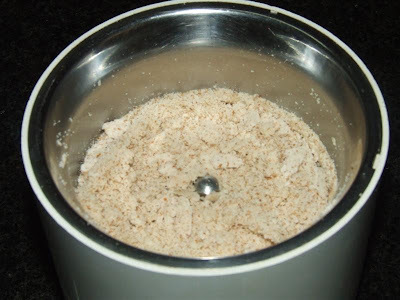 Powder the almonds with skin in a grinder. 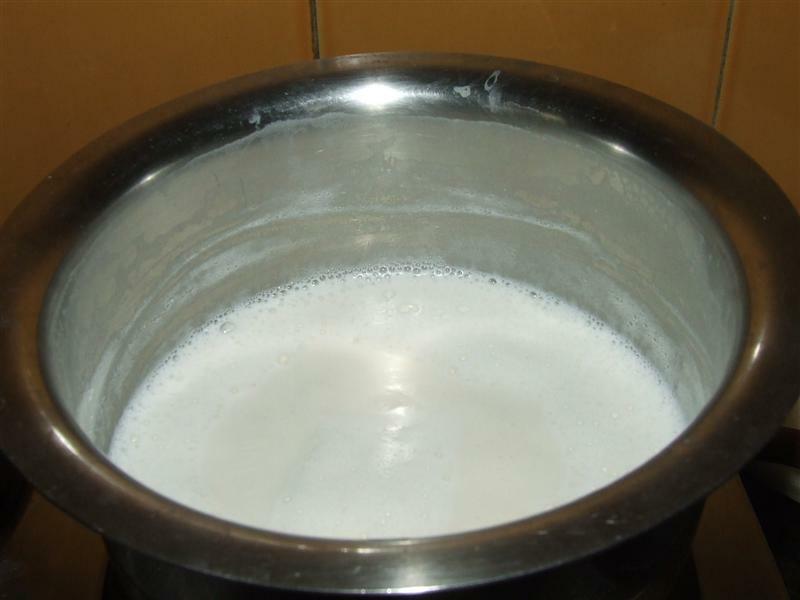 Take milk in a heavy bottom vessel and bring to a boil. Lower the heat and let it simmer for 10 minutes. Turn off the gas. 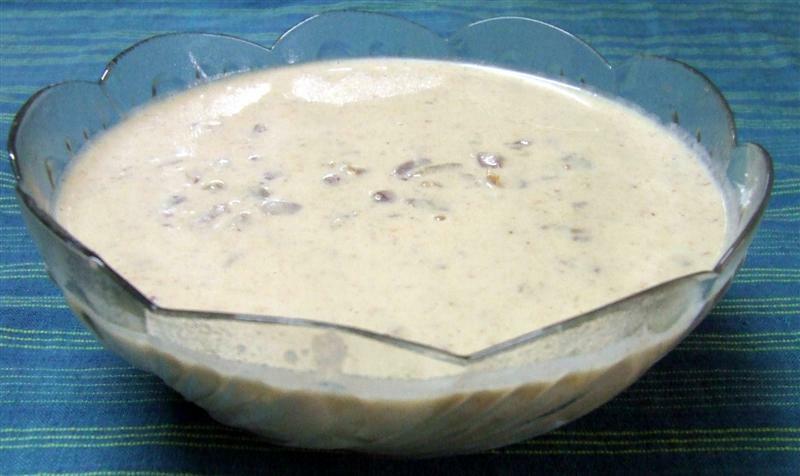 Add powdered almonds and mix well. There should be no lumps. Now add dates. Cook on low flame for about 10 minutes. 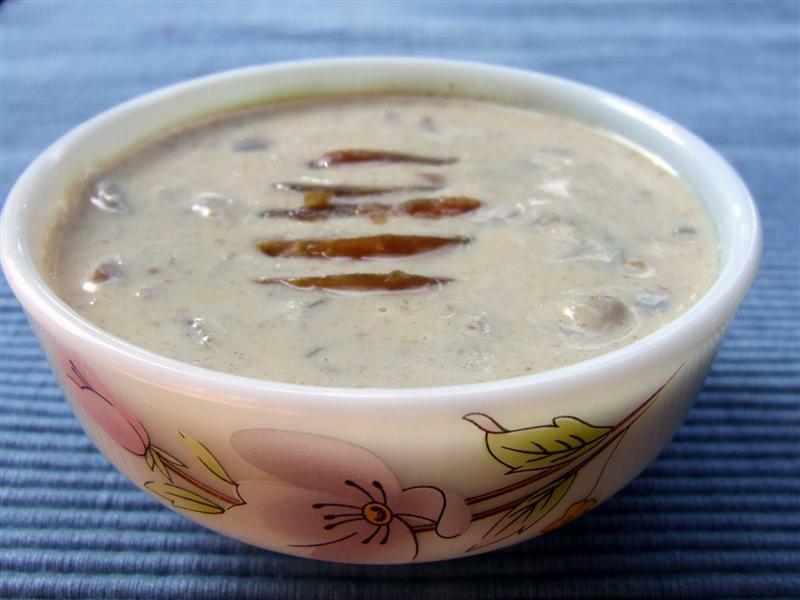 Keep stirring so that the kheer does not stick to the bottom. Turn off the gas and add ground nutmeg. Serve warm. 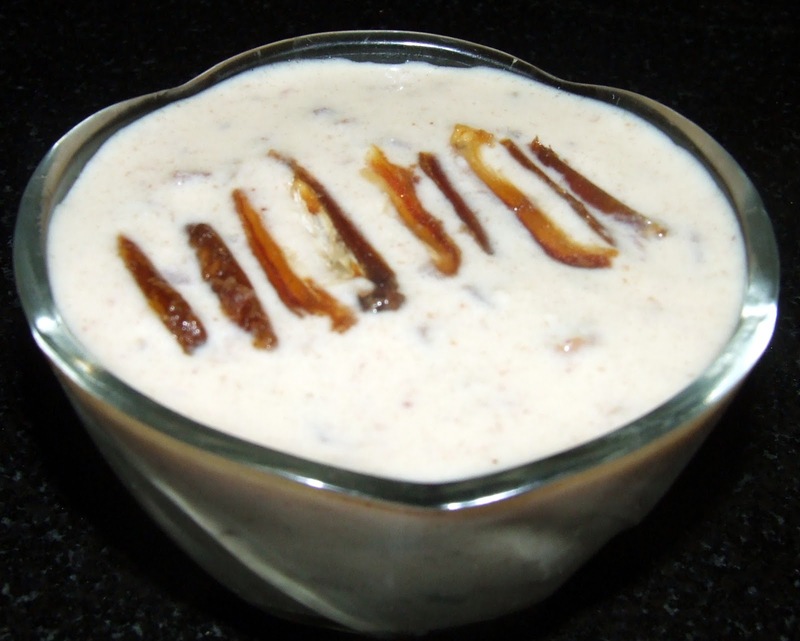 My notes: Dates lend enough sweetness to the kheer so there is no need to add sugar. If the kheer becomes too thick, add some milk to get desired consistency. 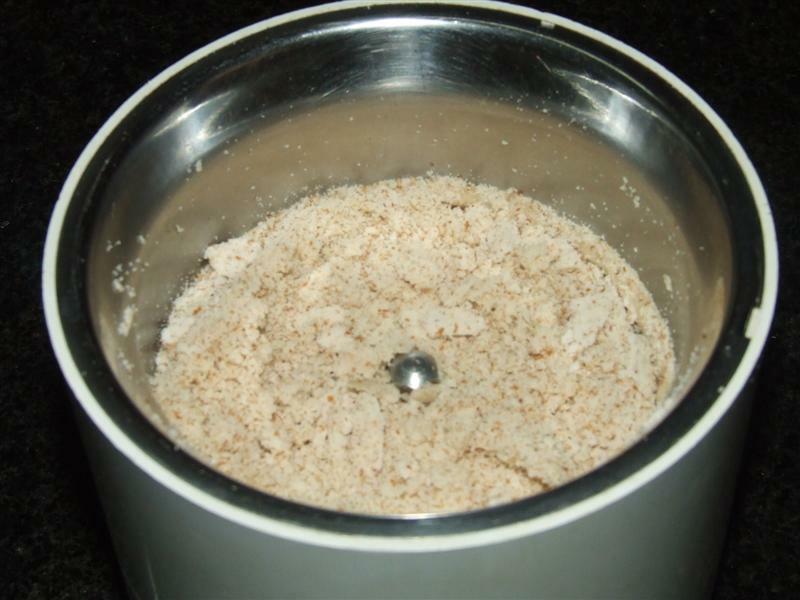 Powdered nutmeg can be avoided to enjoy the natural flavour of dates and almonds.